Market Revolution 🚀 is Futureberry’s Inspiration Company. It observes phenomena and identifies disruptive trends, analyzing and interpreting their impact on consumers, businesses and industries. It realizes trend reports and in-depth studies on the most important themes of innovation to inspire managers and professionals to generate new ideas 💡and to look to their businesses from a different perspective 🔭. Revolution of Ways of working is the trend report to find your way in the future of work. The Digital Transformation already affected companies, therefore new ways of workin are growing and are ready to be put into action. This report is a map 🗺 to build future-proof organizations 💣. 👉🏻 Click here to download the report! Our mission is to talk about the changes that revolutionize business 💼, design ✏️, technology 📱 and people 👩🏻. 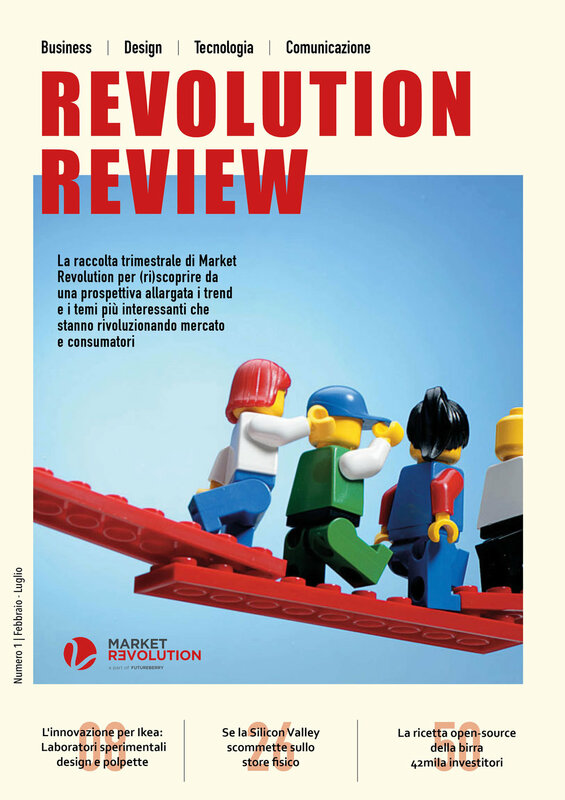 Revolution Review is a free web magazine that, every three months, collects and elaborates the most interesting contents and give advices about how to enclose them in your business. 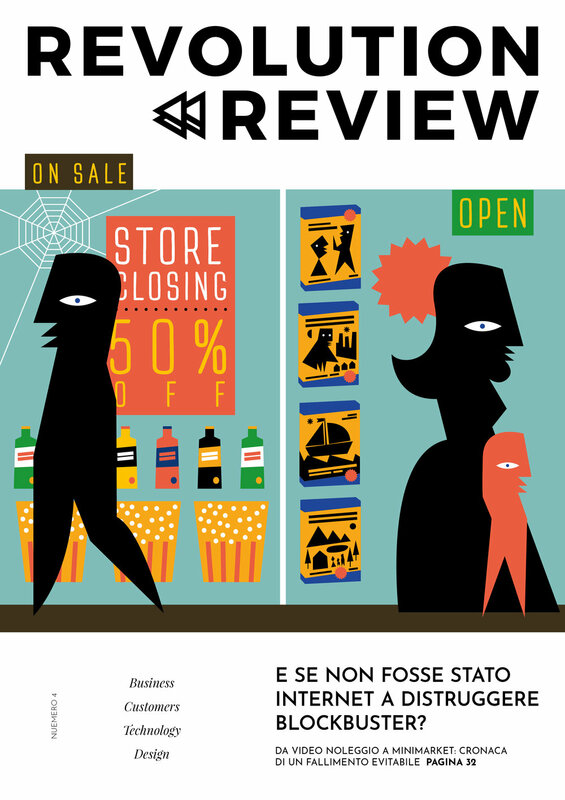 Revolution Review 4 is our web magazine 🖥, that collects the most interesting contents from our weekly newsletter, enriching them with new and exclusive insights and cases 💫. This magazine talks about how consumers habits and expectations are changing, pushing brands to be brave and change the rules in the market to keep succeeding. Envisioning with Millennials is the web magazine 🖥 that imagines the Future Customer Experience, telling the story of the “behind the scenes” of our co-creation process with Millennials 🙌🏼, the consumers of the future. esclusive content about business 💼, technology 📱, design ✏️ and people 👩🏻 aiming at understanding the revolution in the market and among the consumers. This report collects 40 case studies 📚 and identifies 10 trends that are transforming the Retail Sector and shaping the future of the store ⚡️, from physical / virtual experiences, to new products and services and new consumers expectations. Leading Innovation: Retail Store is the trend report 📚 that identifies 6 actionable trends and 16 case studies to illustrate the new “shopping experience” scenarios 🛒 and to help brands and retailers to stay successfully connected with the consumers 👫 of today and tomorrow. Available in Italian and in English. Talking about the Revolution is an ebook that collects interviews to CEOs, Directors and Managers of both successful companies and new-born start-ups and that aims to observe 👁 new business models, consumers values, the crisis of entire industries and the birth of new ones, the relevance of the customer experience and more. Revolution Weekly is our newsletter about business, digital, design, consumer and tech. It comes every Saturday morning, ☕️ time.